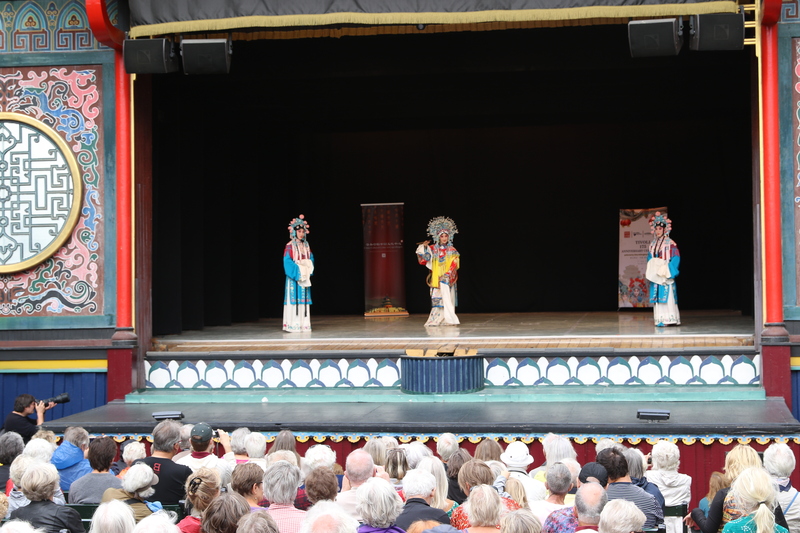 According to Xinhua News Agency，on August 11th (reported by He Miao), the actors from China Heilongjiang Peking Opera Theatre staged “Drunkened Concubine” and “the Heavenly Maiden Scattering Flowers” in Tivoli Copenhagen. The local people felt Peking Opera’s art charm. Invited by 2018 CPH Opera festival, China Cultural Center in Copenhagen led China Heilongjiang Peking Opera Theatre delegation to attend CPH Opera festival, and stage in Tivoli 175 Anniversary Ceremony.